This product is just a guide on all Kangertech Replacement Coil heads. Please read below and follow the link to ensure that you are ordering right coils for your Kanger tanks. So Which Kanger Replacement Coils is right for your tank? Apart from latest Sub Ohms series of tanks from Kanger, there are mainly 2 types of Kanger replacement atomiser coils head available as listed below. 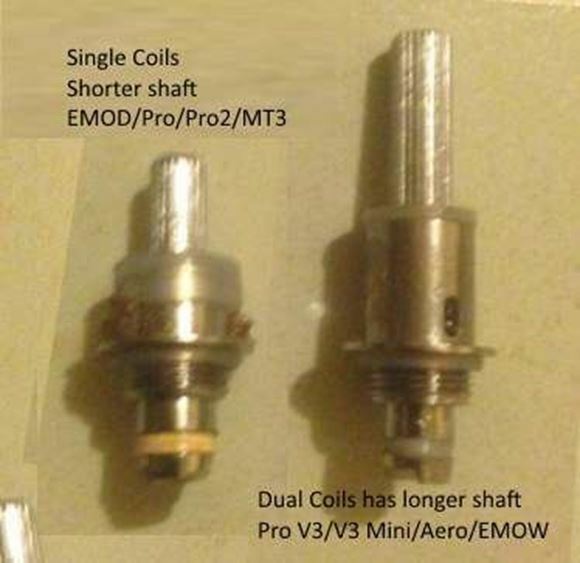 These are the first coils that were used in all tanks which launched BEFORE Kanger Protank V3. Hence, Any tank BEFORE Kanger Protank V3 are compatible with these coils. This coils/atomisers are shorter in length compared to Dual Coils heads (see below). It looks same in picture unless put together with dual coils head, then it will be clearly visible that the shaft of atomiser is shorter than the dual coils. See below picture. Below is a list of all tanks which were launched before Protank V2 for which you will have to order single coil head from here. CLICK HERE to order Single Coils Replacement Heads for above tanks. As stated above, Kanger Protank Replacement Dual Coils heads are suitable for any tank launched after Protank V3. This coils are longer in length. It looks exact same as Single Coil heads but have minor different at the bottom as well visible different in length of the shart, as it has longer shaft. There are suitable for following Kanger Tanks. 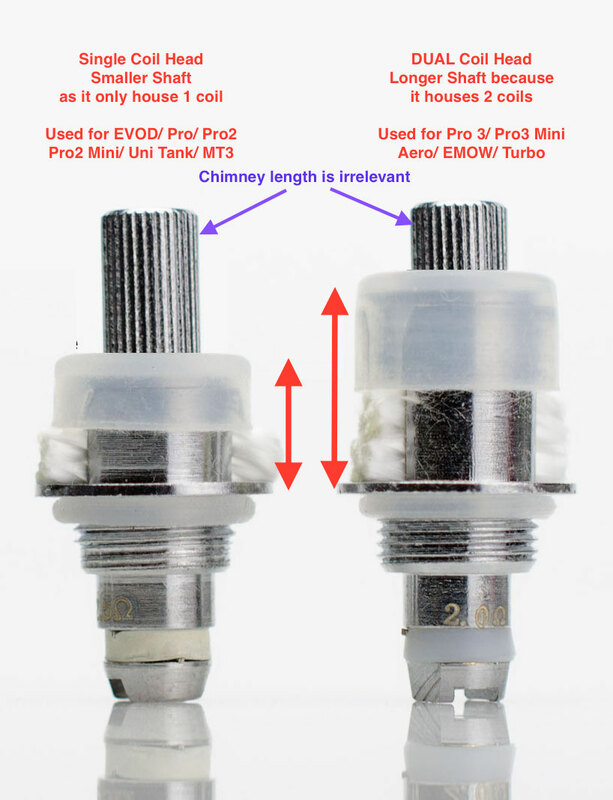 CLICK HERE to order Dual Coils Replacement Heads for above tanks. So there you go, now you know this coils is right for your tank. Finally we would like to say that we have sourced this coils directly from Kangertech, so you'll know you're getting the real deal for your Protank and Aerotank and you'll be set to enjoy the clean taste of your favourite eliquids. After all it's all about flavour, right? How to replace Kanger Atomiser Head. After replacement of new Coil Heads and filling of your Kanger ProTank pleaseallow new wick tosoak in for 2 to 3 minutes for that perfect vape. Buy a bunch of Kanger Protank Genuine Replacement Coils heads for your Kanger Protank while they are at such a low price! Also, it will not add any extra shipping charge if order with other products.